Some American presidents have their faces on currency, some get memorialized in films and epic monuments. Then there are the others, whose all-but-forgotten names are unceremoniously attached to middle schools and parks across the country. 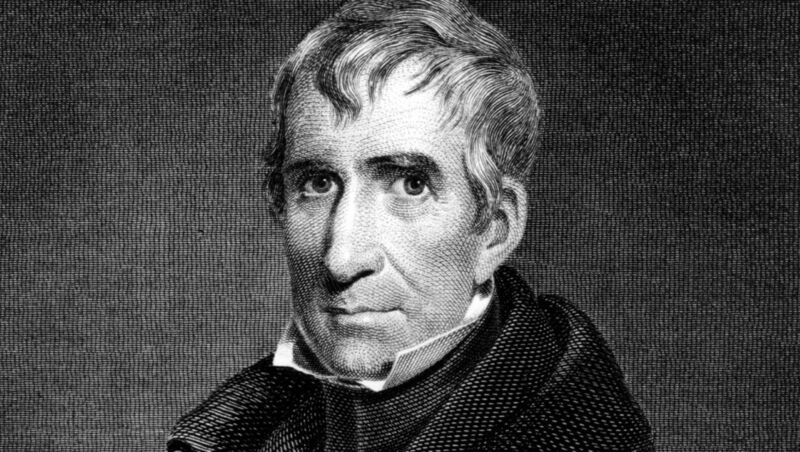 Our ninth president, William Henry Harrison, is firmly in the latter category, but it’s still worth knowing a little more about him. 1. He turned a Native American "prophet" into an actual prophet. Harrison served as governor of the Indiana Territory, which consisted of the future states of Indiana, Illinois, Michigan, Wisconsin, and eastern Minnesota, from 1801 to 1812. As governor, Harrison spearheaded the acquisition of land that belonged to Native American tribes. This duty ratcheted up the already high tensions between tribes and the American government’s expansion plans, which drove Harrison into a quarrel with the legendary Shawnee leaders Tecumseh and his brother, the self-proclaimed prophet Tenskwatawa. Harrison wrote a letter denouncing Tenskwatawa and dared him to “cause the sun to stand still-the moon to alter its course-the rivers to cease to flow-or the dead to rise from their graves” to prove his prophetic abilities. The letter reached Tenskwatawa, who said he would demonstrate his powers by darkening the sun in the summer of 1806. A few weeks later, a solar eclipse occurred, and the prophet claimed his knowledge of the event provided the requisite proof of his powers. 2. He became famous for winning the Battle of Tippecanoe. Harrison would have the last word against these tribes, though. In November 1811, Harrison attempted to use force to negotiate a peace treaty with a confederation of Native American tribes. He marched U.S. forces to the village of Prophetstown, near the Tippecanoe and Wabash rivers in Indiana, where he met his old foe. Tenskwatawa, in charge of the tribal forces while Tecumseh was away, led an early-morning attack that startled Harrison and his men, but the tribal warriors were badly outnumbered. Though the two sides suffered almost equal losses, the settlers claimed victory, and Harrison’s reputation as a military hero grew. Later, during the War of 1812, Harrison defeated a coalition of British and Native allies in Indiana and Ohio, re-took the previously captured Detroit, and won the Battle of the Thames, where Tecumseh was ultimately killed. 3. He came from, and produced, a prominent political family. Harrison’s father, Benjamin Harrison V, signed the Declaration of Independence, served three terms as governor of Virginia, and was a member of a prominent family that had close ties to George Washington. Harrison’s son, John Scott Harrison, was a Congressman and fathered another Benjamin, who would go on to become the 23rd President of the U.S. in 1889. 4. Harrison's supporters gave away booze during his presidential campaign. Harrison briefly returned to private life after resigning as a general during the War of 1812 but later served in the Ohio State Senate, the U.S. House of Representatives, and the U.S. Senate. He ran unsuccessfully for President as a Whig in 1836 and returned to the campaign trail four years later. His second time around, which has since been called the first modern presidential campaign, produced a mythical image of Harrison as a hardscrabble frontiersman. When a newspaper seemingly ridiculed him by saying that he’d prefer to sit in a log cabin with a barrel of hard cider, Whig supporters began calling him the “Log Cabin and Hard Cider candidate.” They also handed out whiskey in branded bottles that were shaped like log cabins and other promotional knickknacks, including cigar tins, sewing boxes and pennants. Harrison actively campaigned for himself, unheard of at the time, while incumbent Martin Van Buren remained in the White House. The very first presidential campaign slogan, “Tippecanoe and Tyler Too,” a reference to Harrison’s military heroism and running mate John Tyler, adorned the various odds and ends handed out by supporters. Harrison’s campaign rally at the site of Tippecanoe drew an estimated 60,000 people, and numerous songs and jingles, like “Good Hard Cider,” “The Gallant Old Hero,” and “The Log Cabin” were written about him. 5. His inauguration speech was the longest to date. On a wet, winter day in 1841, the 68-year old Harrison eschewed a coat, hat, or gloves and dove into the longest inauguration speech ever given. His 90-minute talk, written by himself and edited by former Senator Daniel Webster, spanned 8445 words and covered not only political but personal issues in an attempt to make the “Log Cabin and Hard Cider” candidate seem more presidential. 6. His tenure as president lasted 33 days. 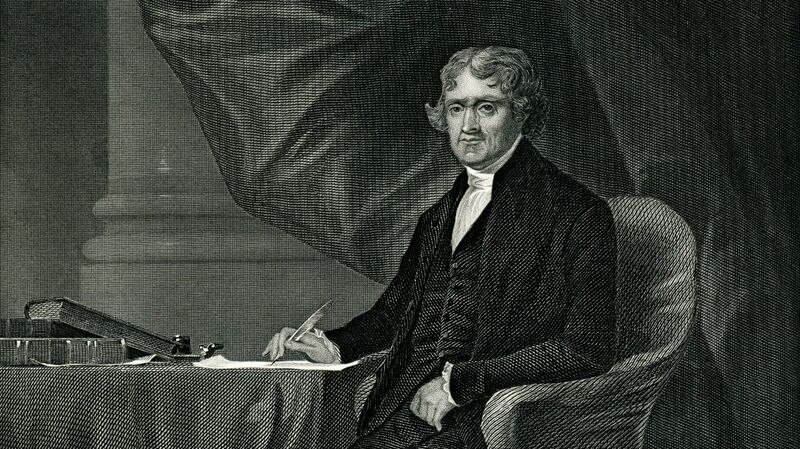 Just three weeks after taking office, Harrison, feeling ill and complaining of fatigue and anxiety, summoned his doctor, Thomas Miller, to the White House. Miller treated Harrison with the standard medications and practices of the day, including opium and enemas. 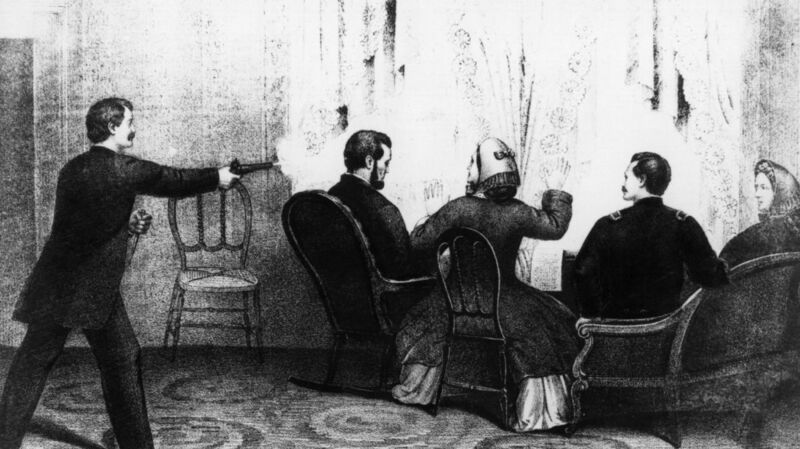 Miller reported Harrison had a sinking pulse and cold, blue extremities, and after eight days of delirium and pain, Harrison became the first American President to die in office. Some historians speculate Harrison caught a cold during his interminably long inauguration speech that developed into an ultimately fatal form of pneumonia. 7. Pneumonia may not have been what killed Harrison. Miller listed Harrison’s cause of death as pneumonia of the “lower lobe of the right lung … complicated by congestion of the liver.” Modern scholars think the explanation may be more complicated. In those days, Washington, D.C. had no sewer system, and the White House and its water supply sat mere blocks from a marsh that held a depository of “night soil,” human excrement and waste hauled in every day. Harrison likely suffered from enteric fever caused by one of two bacteria, Salmonella typhi or S. paratyphi, that devastated his gastrointestinal system. Two other presidents, James K. Polk and Zachary Taylor, also suffered severe gastroenteritis while living in the White House, and Taylor, like Harrison, passed away in office.